How Far is Baashyaam Petals? 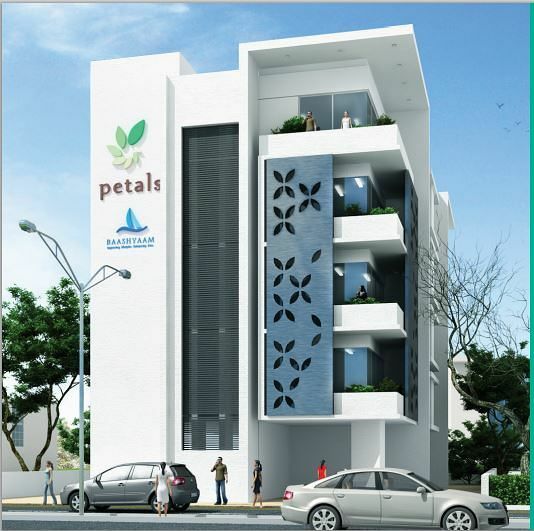 Petals is among the very few 'super-luxury' apartments available in the city. This 4-storeyed wonderment stands tall as a testimony to some of the finest pieces of architecture and engineering excellence. It houses 4 luxury apartments, to give you the much needed privacy and peace.Offered in a range of 4-BHK, these are built with top branded floorings and fittings. RCC framed structure. Walls will be of cement blocks. Living / Dining - Italian Marble. Bed rooms - Marble / Wooden. Kitchen - Anti skid tile. Toilet - Anti skid tile. Common area & stairs - Granite. Toilet - Designer tile up to ceiling height. Kitchen - Designer tile DADO for 2 feet height over counter. Utility - Designer tile DADO. Main door - Teak wood door frame with 40 mm thick teak wood panel shutter polished on both sides and Biometric lock. Bed room Door - Teak wood door frame with 32 mm thick Modular door shutter polished on both sides. Toilet door - Teak wood frame with 30mm thick one side teak veneer flush door. UPVC windows double glazed (Fenesta or equivalent). Master bedroom toilet - KOHLER / equivalent with single lever mixture with rain shower. Other bedroom toilet - KOHLER / equivalent with single lever mixture with over head shower. All Toilets - KOHLER / equivalent. One EWC will be provided. Black granite counter top skin - Double bowl with drain board. 8 passenger lift (Schindler / Kone / equivalent). Central security system for all apartments. To connect 1 light, 1 fan & AC in all bedrooms & adequate lights in common area and to operate motor pump, elevator and pressure pump. Concealed wiring with modular switches (Siemens or equivalent). 3 Phase electrical supply with MCB & RCCB. Telephone point provision in living, dining and master bedroom. Foot lamp provision for all bedrooms. One A/C provision for all bedrooms and living & dining Intercom. Internal walls and ceiling : Two coats of putty, one coat primer and two coats of emulsion paint. Solar water heater and Intercomm facility. Persistent through ages and evolving over years is what has helped Baashyaam group to be an efficient and prominent builder in the realty field. They believe that quality and detailing are the main points which will make you feel you are in the perfect home. Baashyaam’s Pinnacle Crest is one of the best landmarks in Chennai. Baashyaam Bonaventura a ready to move in project in RA Puram, Chennai is available with luxurious 3BHK’s built to satisfy the need of luxury home buyers available for sale in RA Puram, Chennai. 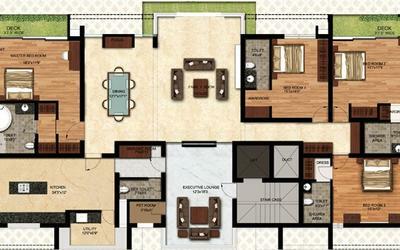 Sadhr Gardens an under-construction project in Chennai, is built with 4BHK apartments for sale in Alwarpet, Chennai. The builder being established in Chennai has developed some landmarks across Chennai limits, Baashyaam Le Chalet is an ongoing project in Thandalam, Chennai. History has been witnessing to the Baashyaam’ s commitment to excellence, innovation, perseverance and undying attention to customer and societal needs. As an organization, Baashyaam has successfully integrated diverse businesses like agriculture and hospitality. As India’s leading luxury home builder in the best locations, Baashyaam provides what matters most: superior design options, the highest quality construction and state-of-the-art amenities. Baashyaam is today synonymous with quality, customer contentment and dependability. Time and again Baashyaam has earned the trust of thousands of our customers through our residential and commercial projects.